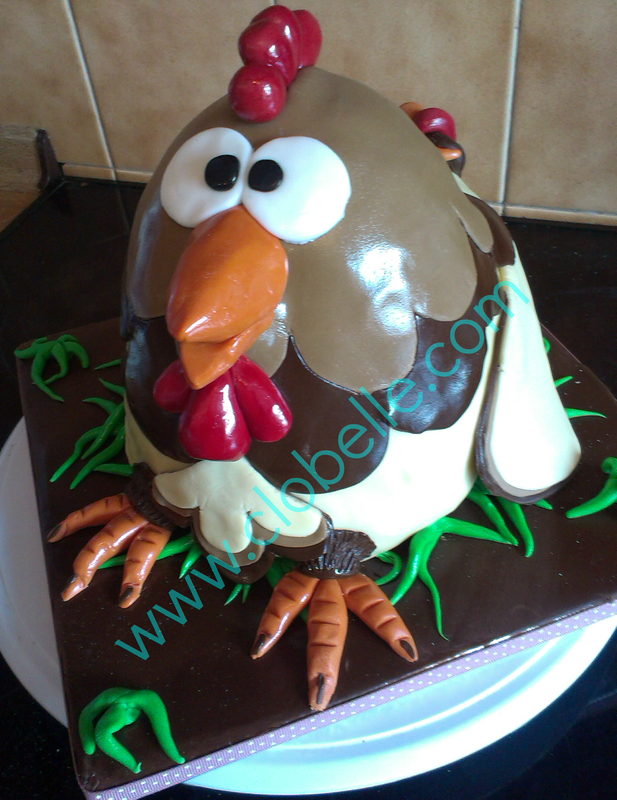 Thought I would share my Chicken Cake with you - it's been a while since I posted something unrelated to yarn (or anything at all actually). I saw the cake originally on Pinterest but couldn't get the link to work back to the company that watermarked it or find any instructions. I've taken step by step photos as I constructed it and thought it may be useful for others to find. The cake is for my husband because our youngest son likes to tell him that he is faster than a free range chicken a LOT at the moment. Sure it won't be so funny in a bit, we like it for now though. Due to my Coeliac diagnosis, I have used all non-gluten containing ingredients and the cake is actually one massive crispy rice cereal treat (not Kelloggs as they contain gluten; but a supermarket own brand as advised by www.coeliac.org.uk). I also used my (just cleaned) iron to steam the cake afterwards as I've seen on oh so many episodes of shows from across the pond - L O V E the effect, much more pro looking I think. 200g / 300g Crispy rice cereal usually get most of an average box in the bowl depends on how strong and quick I am to get it mixed in! Melt choc in large microwaveable bowl, I do 30 second blasts until it stirs nicely - add marshmallows and zap in microwave for a couple of mins until nice and puffy. Tip in cereal slowly and bit by it, stir together - when it gets hard going, mould together with clean hands (be careful in case it's still too hot to do this). Mould into shape and soak bowl in hot soapy water to loosen off the glued on bits left behind (don't leave this til later - it takes much longer to get clean).